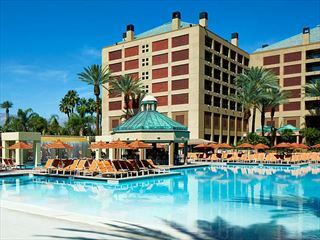 Perfect for families and couples alike, this Coachella Valley resort offers a large outdoor pool with cabanas and a chic lounge with outdoor firepits, perfect to relax or enjoy a refreshing cocktail after a busy day or to watch a spectacular sunset and relax under the stars. The rooms are luxuriously appointed with spa-inspired bathrooms and amenities, the remodelled restaurant ‘Date’ serves modern dishes with locally grown fruit and fresh ingredients. Rocks - Chic lounge with craft cocktails, local beers and outdoor fire pits. 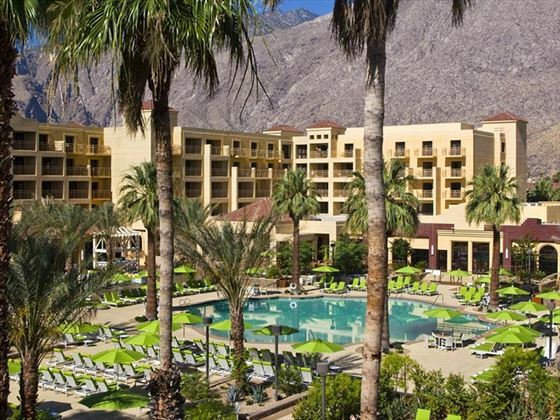 Renaissance Indian Wells Resort & Spa is nestled at the base of the majestic Santa Rosa Mountains in the exclusive community of Indian Wells. A true desert oasis in the midst of tropical gardens, mountain views, and lush fairways. Rising like a Phoenix out of the desert this luxury property is nestled on 24 beautifully landscaped acres in the heart of Palm Springs, California. This luxurious and sophisticated spa hotel comprises 406 rooms with great amenities and knowledgeable staff.